In 1890 Belgian palaeontologist Louis Dollo postulated that evolution could not run backwards - something widely accepted by the scientific community. But now a study has claimed that the changes induced by evolution can be reversible, meaning certain animals can return to an earlier biological trait. 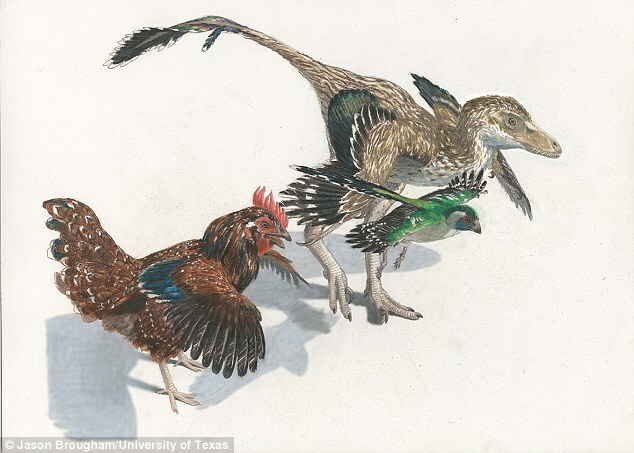 The remarkable discovery was made by finding birds had regrown a bone previously discarded by dinosaurs millions of years ago. They found that 230 million years ago, two-legged dinosaurs no longer required the strong wrists of their four-legged brethren, and thus they became weak. The number of bones in wrists shrank from 11 to three, with one in particular of interest to disappear being the pisiform. But according to research by Dr Vargas, the bone reappeared when dinosaurs evolved into birds and took flight. 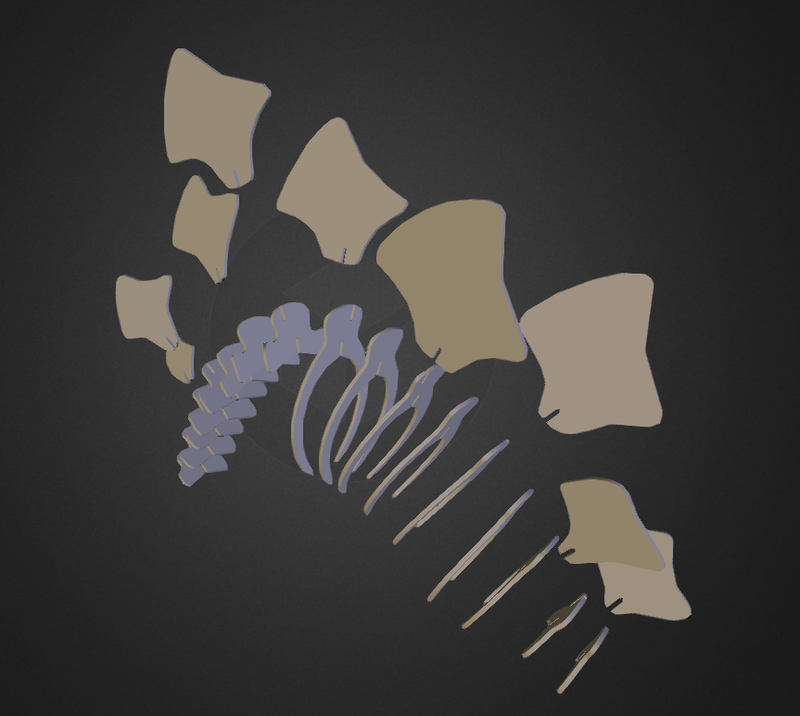 The new bone, called the ulnare, appears in the same place as the pisiform once did. The pisiform allowed bird wings to remain rigid on the upstroke. 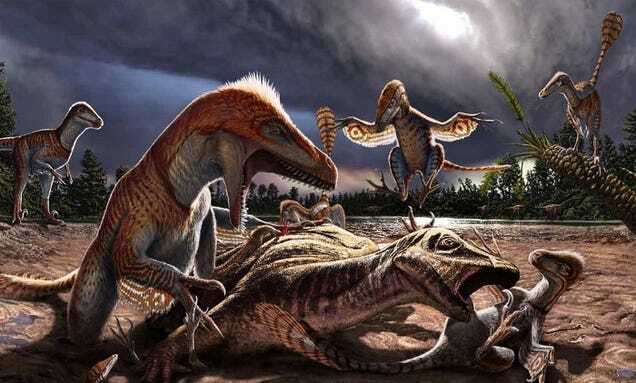 The study found it disappeared in bird-like dinosaurs, but modern birds later evolved to once again use this tiny bone. 'This idea that a bone can disappear and reappear in evolution has been resisted a lot in evolutionary biology,' Dr Vargas previously told Stephanie Pappas at LiveScience. Scientists don't know how these bones disappeared, though. Professor Vargas said part of the problem is that palaeontologists look at fossils, while biologists focus on embryos. But his team brought the research together by looking at fossils as well as studying bird anatomy. The team also traced certain proteins in 3D embryonic skeletons that were linked to the creation of collagen, which makes up connective tissue. Please poke, spin, shake, and break. If you do manage to break it, please let me know... unless you use a DDOS attack, which is kinda cheating. ...but wait! There's more here. STATEN ISLAND, N.Y. — "Jurassic World," the latest installment of the "Jurassic Park" film franchise, isn't due out until June — but you don't have to wait for that summer blockbuster to score face-time with dinosaurs. Eight of the scaly prehistoric creatures are wintering at the Staten Island Zoo, where "Dinosaur Encounters" debuted Thursday, Dec. 18. A triceratops is among the four species that were welcomed for their four-month stay by about 60 preschoolers who walked over from the Broadway YMCA. The exhibit is now open to the public through April 1 and is free with regular admission to the Zoo. "They're not real. They're like toys," said one of the adults shepherding the slowly moving wide-eyed tots as they arrived. Part of Field Station Dinosaurs in Secaucus, the animatronics are part of a 30 life-sized herd of the extinct animals that have been brought to life by scientists, engineers and imaginative artists. Triggered by motion detectors, the eight beasts move heads and tails and grunt and growl hoarsely. "The combination of science and imagination, education and fun is something that Field Station shares with the Staten Island Zoo," said Zoo executive director Ken Mitchell.